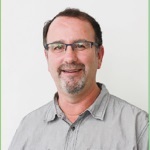 Peter Biggs of The Light Magazine is researching one Metro Vancouver / Fraser Valley municipality each month, and producing a focus on each one. The March issue features Burnaby. The City of Burnaby is the third largest city in British Columbia (after Vancouver and Surrey), with a population of approximately 223,000. Visible minorities comprise 64 percent of the population. Population has grown 4.27 percent in the past five years. 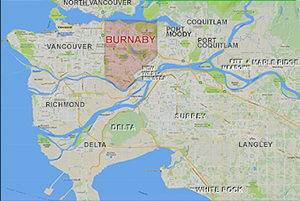 Located at the geographical centre of Metro Vancouver, Burnaby occupies 98.60 square kilometres (38.07 square miles). Its ratio of park land to residents is one of the highest in North America, with 25 percent of land designated as parks and open space. The city has more than 200 parks; Deer Lake, Burnaby Lake and Burnaby Mountain are outstanding urban get-aways. Burnaby doesn’t have a strong identity, likely because of its fractured nature – with four centres (Brentwood, Metrotown, Edmonds, Lougheed) – and being sandwiched between Vancouver, Coquitlam and New Westminster. It is also divided by major roads: the east west arteries of Highway 1 and to a lesser extent Kingsway, Canada Way and Hastings Street. The SkyTrain rapid transit system is administered from Burnaby and crosses the city from east to west in two places: the Expo Line (completed in 1986) and the Millennium Line (completed in 2002). SkyTrain stations always produce housing densification (condo towers). This is particularly true of Lougheed Town Centre on the city’s eastern border, Brentwood Town Centre in the centre-west and, most notably, at Metrotown in the south. Burnaby has one regional town centre (Metrotown) and three municipal town centres (Brentwood, Edmonds and Lougheed). Each town centre serves one quadrant of the city and offers a full range of housing and services. Generally speaking, these areas provide for higher density forms of housing and are the primary commercial focus for the city and their respective quadrants. As distance from the town centres increases, there is a generally progressive decrease of residential densities toward single and two family neighbourhoods. 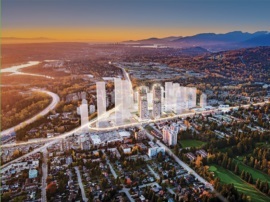 The transformation of Burnaby’s four major town centres continues, with a massive redevelopment called The City of Lougheed. It will transform the existing Lougheed Town Centre mall. Shape Properties, the same company behind the redevelopment of Brentwood Town Centre, is planning to redevelop the existing 40 acre shopping centre site with 23 new high-rise residential towers, the first of which will be 55 storeys tall. The Amazing Brentwood is a $2.5 billion project to expand the Brentwood Mall area with over 250 shops, restaurants and services, along with more condo high rises. The largest of Burnaby’s four major town centres is Metrotown, in southwest Burnaby. 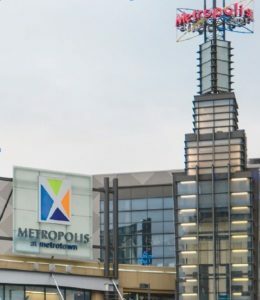 Its prominence centres around Canada’s second largest commercial mall, Metropolis at Metrotown, opened in 1986. Its 450 stores, along with the convenience of being adjacent to Metrotown SkyTrain Station ensures its popularity. Many ‘anchor’ stores remain, including The Bay, Superstore and Toys R Us, as well as Cineplex Cinemas. Simon Fraser University (SFU) sits atop Burnaby Mountain. It has around 30,000 students, along with 5,400 graduate students. SFU has been described as a very secular environment. However there are a number of Christian clubs at SFU including Power to Change and InterVarsity Christian Fellowship. IVCF has been replanting, and currently is around 25 students, with a mix of Christians and non-Christian seekers. The group has one community house on Burnaby Mountain, and one in New Westminster, which students use as hubs of hospitality. On campus the group has weekly scripture studies, and regular campus outreaches that often include art exhibits that convey messages around kingdom-centred justice. Each year the group takes part in MARKwest in early May. The camp is a week-long inductive study of the Gospel of Mark with students from campuses across the country. The group also takes part in global urban partnerships each year, and in the past has lived and served in the Downtown Eastside for a month. This year they are in Tijuana partnering with Mexican and American campus ministries in border ministry with recently deported Mexicans. UniverCity is a recent residential community consisting of four distinct neighborhoods: West Highlands, East Highlands, the Slopes and the High Street. It’s population is projected to grow to 10,000-plus. The Point Church meets in UniverCity. British Columbia Institute of Technology (usually just referred to as BCIT) has become a top Canadian training school. The post-secondary institute has five campuses located in the Metro Vancouver region, with its main campus in west Burnaby. BCIT has more than 170,000 alumni and over 4,000 new graduates each year. Burnaby has about 70 churches. Cariboo Road Christian Fellowship is a church of about 500 people, situated just south of Highway 1. Senior pastor Paul Mahon has seen many changes to Burnaby in the 12 years he has ministered there. “We’ve become more of a Metro Vancouver church, with many of our members coming from the Tri-Cities,” he said. It can be a a great opportunity. We recently ran the Mandarin version of The Alpha Course – 30 guests came, 22 of them were saved! It is a ripe harvest field. For a long time a few pastors would gather monthly for prayer, but around five years ago it kind of evaporated. Different factors have likely contributed [to churches’ lack of connection]. Burnaby does have an identity problem, with an obvious north/south divide, and the ‘ethnic’ pastors tend to be connected to their own people groups. However I am encouraged that Brad Bates at Willingdon is calling us together. Willingdon Church, located next to BCIT, is the largest church in Burnaby, with weekly attendance at around 3-4,000. Brad Bates is on staff as community planner. Groups of pastors in the Lougheed and South Burnaby / New Westminster areas are also starting to come together. Cam Roxburgh has pastored in Burnaby’s Edmonds area for 25 years at Southside Community Church. We are witnessing a rise in population density around the town centres with high-rise condo towers. I have heard that the Kingsway / Edmonds area is the second highest landing spot for refugees. Indeed the area is very ethnically diverse. Edmonds Elementary School has 50 different language groups! Evangelical Chinese Bible Church (ECBC) is situated in south Burnaby off Marine Way. 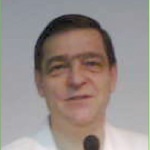 Senior pastor George Wong has been there for over 30 years. “Most of our people are Mandarin speaking Chinese [but] we are inclusive and run English services too,” he said. Last year the church saw 180 people converted and at the recent Chinese New Year dinner 600 joined in. 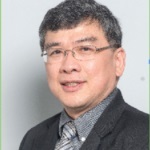 Like most Chinese churches, they connect with the Vancouver Chinese Evangelical Ministerial (VCEM) monthly. VCEM conducts a yearly evangelistic revival meeting’ which is usually hosted at ECBC. “People attend from all over the Lower Mainland,” Wong said. Go here for The Light’s complete Burnaby profile. ← Around Town: Mental Health workshops, Spartans, Responsible Automation . . .
Mr. Biggs, I am certain there are still many, many Christians attending SFU – and what do you think? Don’t you think those Christians, receiving one of the best education’s available in Canada, will be strengthened and sharp, and able to stand firm in their faith? Mr. Biggs’ seemingly judgmental and nasty attitude in describing SFU reveals the ignorance of evangelical Christianity these days, and the reason why so many people are leaving the church.